Travel Scams: Is the Deal Real? Everyone wants to find a great travel deal, but how do you spot a travel deal from a travel scam? Find out how to spot the Top Five Red Flags Your Travel Deal is a Travel Steal and Top Five Tips So You Don’t Get Travel Scammed. The best travel deals are easier to get than you think but a lot of people just don't know how to get them. That's why I've put together this website featuring my best travel deals tips. With my travel advice, I can help practically anyone take five-star vacations at two-star prices. For over twenty years, I have been collecting money saving travel tips as a travel producer for high profile television programs. 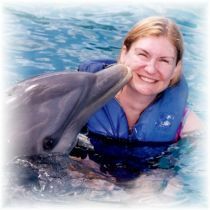 I have also been a road warrior and learned a lot of travel tricks, insider secrets, and ins-and-outs on how to get value packed vacations for less -- and without using press credentials to do it because I travel just like you do. So let's talk about travel dreams. Have you ever imagined yourself traveling the world and going to places like Paris, Rome, or London? • Swim with dolphins in the Bahamas? • Take a gondola ride in Venice? • Picnic in the Swiss Alps? • See a live lava flow from a Hawaii volcano? • Climb the Great Wall of China? Do you have these sorts of travel dreams, but think you can't afford to travel? Well, I help people just like you learn how to get the best travel deals, take amazing vacations on almost any budget and make your travel dreams a reality with great vacation planning tips and much more. Take a $99 Cruise and Fly First Class to China for $99! I know these prices seem unbelievable but they are absolutely true published vacation deals I have found and verified. TV Travel Show Producer Shares Her Travel Tips and Secrets. It all started when I was Senior Segment Producer for a TV program hosted by Robin Leach during the late eighties and into the nineties called, Runaway with the Rich and Famous, and my job was to design and create five-star luxury vacations for celebrities (and send a video crew to capture the magic). During my season with Robin, I sent celebs to over 25 countries and determined what locations, hotels, restaurants and local sites of interest would be shot at each vacation destination to be featured on our program. Now, we can't all travel with a "money no object passport," but I have discovered many travel tips and tricks along the way to get the best travel deals and take amazing four-star and even five-star vacations at what are basically two-star prices. You see, I love to travel, but I hate paying full price for any trip that I take. Budget Prices, Not Budget Travel. As a television producer, I also don’t do “budget” travel. You know what I’m talking about -- like youth hostels or budget hotels -- I absolutely always stay at nice hotels, but I do always travel on a budget. You don’t have to be a TV travel producer, like me, to get the best travel deals, deep travel discounts and even travel for free. As a matter of fact, all of my travel tips on my travel web site have to do with my own common sense of leveraging dollars I’m already spending, making wise choices on where I spend my travel dollars and participating in inexpensive travel programs that offer deep travel discounts. These exclusive travel tips I am sharing with you here have literally saved me thousands of dollars on vacations. I also share many tips on how to save once you get to your destination by connecting you to deals to save up to 55% on theme parks in the U.S..
Now, I would love and absolutely adore helping you discover a world of ways to see the world and get the best travel deals! I update Best-Travel-Deals-Tips.com frequently, so please subscribe to my monthly newsletter, Travel Talk. It tells you each month about the new information that I have added, including interesting travel deal tips, stories and favorite deals and travel trends that are coming up on my radar. Also...Please subscribe to my TV Travel Show Producer Blog. By subscribing to the RSS feed (see the left column), you keep up-to-date with all the new Best-Travel-Deals-Tips.com pages as they go up, as well as all special postings. What's an RSS feed? TV Travel Show Producer, Marianne Schwab, shares the latest travel news, travel tips and travel deals. Swimming with Dolphins, Stingrays and other creatures of the deep is on lots of bucket lists. My real life encounters with wildlife under the sea is as fascinating as those that roam on dry land. It’s amazing to me how a bite into a slice of fruit can magically make my brain recall memories of a tropical vacation and it got me thinking. Discover how to relive vacations through food. How many other foods evoke wonderful travel memories from my vacations simply by taking a bite into a flavorful travel memory lane? For the most part, savory memories are conjured up by food. Mai Tai, Anyone? February Mix-Off in Full Swing in L.A.
Los Angeles visitors and residents can experience festive mai tai mix-off events around town featuring the music, dance, flavors, and culture of Hawaii through the month of February 2011. Each year, the L.A. Times hosts a Travel & Adventure Show in Los Angeles. Thousands of travel lovers flood the convention center downtown to meet icons in travel like Arthur Frommer. At the recent L.A. Travel & Adventure Show, I got a unique opportunity to get a travel photo taken of me in the Falkland Islands with some of their favorite tour guides - these adorable penguins. Twitter is a valuable source for the latest travel news. Keep up-to-date on insider tricks of the trade and so much more. Twitter is a valuable source for the latest travel news and keeping up to date on all the tricks of the trade to save money on trips, get upgrades, stretch loyalty reward programs and so much more. Artist Katrina West knows these roads very well as she's on the road a lot between California to the Mid-West. She captures the signs and facades of historic and often rundown motels. Save Time, Money and Frustration When Booking Travel Online! We have the best travel deals 68% of the time over some of the most popular travel web sites (Source: Topaz International). Go City Card Can Save You Up to 55% on Attractions and Theme parks at Your Vacation Destination. Travel tips and secrets for vacation planning from a TV Travel Producer who has traveled to 22 countries. Her vacation planner tips will save you time and money on your vacation. The latest discounts and promotions for airlines, hotels, rental cars, train travel, travel attractions, guide books, travel gadgets and accessories and much more. Top 10 road trip planning travel tips from TV Travel Show Producer, Marianne Schwab. Find out insider secrets to having a fabulous road trip plus money saving tips. Important road trip travel tiips continued. Tips 6-10 of the top 10 travel tips. Road trips may be cheaper than flying but are they safer? Once you review the basic driving safety tips for your road trip vacation, here are life saving tips to avoid distractions while driving. Road trips can seem like an eternity when you're a kid unless you have great boredom busters. Here are five top road trips games for kids. Cheap vacation ideas may seem easier said than done. Here are a few of my cheap vacation ideas from my years of squeezing my budget and ones I use now for some extra vacation time. Luxury travel is a topic "Runaway with the Rich & Famous" producer, Marianne Schwab, knows about. She has expert tips on where to get luxury travel deals & vacations at a deep discount. Fun and compatible travel partners and travel buddies are sometimes a missing link to a perfect vacation. Unless you’re married or in a committed relationship, finding a travel partner isn't easy. Need in depth info on United States vacation destinations? I've put together a great resource guide of travel sites that will get you all the info you need! I've had a lot of fun visiting wineries, talking to vintners, and tasting wines throughout the California Wine Country! And I have some wine tasting tips for you! You don't need connections for free TV show tickets to tapings of some of the hot ticket shows in Hollywood, this is an industry town. Shows tape weekly (some daily). A must do on any L.A. vacation. Arizona's Weirdest Roadside Attraction is advertised for miles along Interstate-10. You'll see billboard after billboard with just two words, "The Thing?" and a Dairy Queen logo. Planning a New Mexico vacation to a land of enchantment? It gets its nickname honestly. I have had an ongoing love affair with this special state since I visited and wish I could get there more often. Ever dream of going up, up and away on a hot air balloon ride? Albuquerque is synonymous with exciting hot air balloon adventures and TV Travel Show Producer has tips on what to expect. A Santa Fe vacation guide of TV Travel Show Producer's recommendations on where to stay, where to eat, great shopping, day trips and more. Santa Fe conjures up visions of the vast open spaces of the wewest, a beautifully preserved southwestern town and endless galleries, not to mention fine cuisine. Here are five things not to miss. As a former New Yorker, here are five of my favorite New York City attractions in photos. New York City Skyline from New York Harbor and Governor's Island. Eleven years after the tragedy of 9/11, Freedom Tower gives the New York Skyline a new look. Yosemite National Park in Northern California is a very popular travel destination. It's no wonder the park is swarming with tourists from around the world during peak summer months. The Yosemite National Park Upper and Lower Falls are quintessential Yosemite and located in Northern California. The places everyone goes to when they come to L.A. can cost a pretty penny. but I have some fun places that are off the beaten path in Los Angeles and are fairly easy on your travel budget as well. Paradise Cove is a one of the best beaches to visit in Malibu, California. There are always a lot of signs of fun going on here. Long before the Getty Center, the Getty Villa in Malibu, California was opened as a museum in 1974 when oil tycoon J. Paul Getty simply ran out of room in his home and gallery for his art collection. Disneyland can really break the bank. Here are some tips on how to stretch your Disney dollars and get Disneyland travel deals. The Point Pinos Lighthouse in Monterey, California, is the oldest, continuously operating lighthouse on the West Coast. It was first lit on February 1, 1855. Discovering a twelve foot mermaid on Harbor Island during a visit to San Diego, California, is just one of the many treasures I've encountered over the years during my travels. My favorite "California" Song is not really about California at all. Most of the songs with "California" in the title or in the lyrics often conjure up images of a free spirit lifestyle. Folly Beach, located on the shore of Charleston, South Carolina, is one of my favorite beaches that I've ever visited and is perfect for family fun in the sand. Discover a world of ways to see the world plus in depth information and recommendations to top vacation destinations around the world. If these destinations are not on your travel bucket list, they should be. Find out the five things you must do around the world. The Great Wall of China is a symbol of Chinese civilization and the Badaling section of the Great Wall is the most representative part of this Chinese Landmark. One of the most picturesque sites in the Caribbean beach city of Cartegena, Columbia, is not a building or a statue, but it's colorful citizens. I snapped this photo of two fruit sellers. Cartegena is a large Caribbean beach resort city on the northern coast of Colombia. Cartegena was in bloom in December and flowers were everywhere during our tour. The Luberon villages of Provence, France are characterized by a series of strikingly picturesque, hill-top settings dating back 1000 years or more. See their colorful windows and doorways. When you travel to the village of Roussillon, France, you will be enchanted by this tiny hillside village located in the heart of one of the biggest ochre deposits in the world. Take a virtual tour of one of the most beautiful villages in France via photos. Monaco is the second smallest country in the world. The tiniest is Vatican City although they are often referred to as states. Monaco, famous for the Monaco Grand Prix and the Grand Casino. A Holy Land tour and journey to Israel where the Bible comes alive. when you visit the real villages and cities where Biblical events took place the books of the Bible have new meaning. There are so many holy places in Jerusalem to visit since it's the mecca of Judeo Christian history. I'm thrilled that the weekly Friday Twitter event known as #FriFotos chose "Holy Places." The Mount of Beatitudes is just a short walking distance from the ruins of the ancient village of Capernaum, but you'll probably want to drive it. Journey to Israel where the Bible comes alive. What is the Upper Room in Jerusalem? It's the location in the Gospels where Jesus celebrated his last Passover dinner with his twelve apostles. It's commonly referred to "The Last Supper." tbdThe Garden Tomb in Jerusalem is a beautiful and peaceful place that many believe is the authentic side of the tomb where Christ's body was laid after his crucifixion. When I visited Rome, we visited St. Peter's Square at the Vatican on a Wednesday. As we were making our way to St. Peter's Square, I came across this group of nuns on their way to see the Pope. . I have been fascinated with Pompeii, Italy since we first studied about it in history class and when I an opportunity to visit it, I was captivated my its current residents - the dogs of Pompeii. TV Travel Show Producer, Marianne Schwab, shares her personal hotel reviews from worldwide travels along with her team of iReporters. Find out the good, the bad, and the ugly of hotel visits. The Eurostars Gaudí sits between the The Sagrada Familia and the Agbar Tower. It's website says it's a luxury hotel. Though the tiny room was beautiful, I should've listened to online reviews. The Queen Mary is a 1930s transatlantic ocean liner that is now a one-of-a-kind floating hotel and attraction. The Luxe Sunset Boulevard Hotel is a hidden gem located in Los Angeles. It's no wonder that many celebrities choose this hotel when they visit L.A.
What happens in Vegas, stays in Vegas, so the city's motto goes. 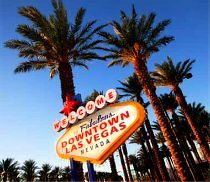 For most of us, we first experience Las Vegas at the movies which is why Las Vegas is a great movie locations vacation. New York City is a great place for a movie locations vacation. Cruise vacations planner has the best travel deals for a cheap vacation. TV Travel Producer has travel tips to find cheap cruises, hidden costs of cruises, and money saving cruise vacation tips. Cruise Vacations: Is a Cruise Ship Vacation for You? Cruise vacations are a lot of fun, but they're not for everyone. TV Travel Show Producer explores pros and cons of a cruise ship vacation and helps you determine what type of cruise is for you. Is this your first cruise vacation? Find out how to prepare for a cruise if you've never cruised before. We have some important tips to insure smooth sailing. Cruise vacations are a great value, but can the total price can skyrocket with a lot of hidden costs you don't know about before you sail. Plan vacation budgets to include hidden cruise costs. TV Travel Show Producer explores five essential travel tips for cruise vacations on how to get the most out of booking shore excursions, sightseeing tours and more. Whether you're booking cruise vacations or going abroad, you do not want to forget about trip insurance. Don't dismiss the idea of travel insurance or it could cost you big bucks. TV Travel Show Producer shares ten essential travel tips for staying connected on cruise vacations so you don’t get disconnected or destroyed by a huge phone bill while at sea or abroad. Cruise vacations are a great value, but tipping is not included in the price of your cruise fare. Navigate the confusing waters of cruise tipping with these general guidelines. Just because the average cruiser packs on a pound a day while on a cruise vacation, doesn't mean you have to. TV Travel Show Producer shares her tips for staying slim at sea. TV Travel Show Producer shares five essential sun safety tips for a day in the sun. Don’t let cruise vacations be ruined with a bad sun burn. Cruise Lines International Association (CLIA) announced the adoption of a "Cruise Industry Passenger Bill of Rights" detailing CLIA members' commitment to the safety, comfort & care of guests . Travel Mom has the 2011 Travel Trends. The good news is that the great travel deals won’t go away and you’re going to continue to see credits available at hotels, value added packages, cruises. The Travel Mom, Emily Kaufman, and she has spring break travel deals & dollar stretchers travel plans in full motion. After almost four years of trimming vacation budgets, Americans are eager to pack their bags and get on the road again for a fun spring break. Find out how to get more out of every vacation dollar. The Travel Mom, Emily Kaufman, has money saving tips for your summer vacation. Produced by TV Travel Show Producer, Marianne Schwab. The Travel Mom, Emily Kaufman, has some creative ways to take a last minute summer vacation without breaking the budget. Looking for ways to take that memorable summer vacation without breaking the bank? The Travel Mom, Emily Kaufman, has tips on how to save on summer vacations. I recently caught up with the The Travel Mom, Emily Kaufman, and she shared some new ways to save on family travel trends this summer and had some secrets for getting more for your vacation dollar. With the holidays looming, millions of Americans will line up at airport terminals grimly hoping that they’ll survive their air travel experience with their bank account intact after the extra fees. Join TV Travel Show Producer, Marianne Schwab, on her around the world travels as she shares important travel tips on how to take 5-star vacations at 2-Star Prices and much more. With increasing demands of today’s 24/7 business world, moms find that unplugging from the office while on vacation may be very difficult. Carol Evans, President, Working Mothers Media, shares tips. Go behind-the-scenes with TV Travel Show Producer, Marianne Schwab, and get an inside look how she produced a live TV broadcast from the RMS Queen Mary. TV Travel Producer has insider travel advice and travel tips to to get the best travel deals, and everything you need to know before you take a vacation. TV Travel Producer shares how she flew First Class to China from LAX for just $99 using credit card reward programs and how you can get free travel & take deeply discounted vacations. If you don't currently have a credit card with reward benefits, you're missing out on one of the best ways to get five-star vacations at two star prices. How do you stay healthy on vacation? Healthy travel habits are not something casual travelers may think about although a lot of road warriors I know have systems in place to stay healthy on vacation. Avoiding jet lag tips - whether you're flying Coast-to-Coast or around the world. TV Travel Show Producer has tips on how to avoid jet lag. Don't let your vacation be ruined by being a victim of a crime. TV Travel Show Producer has street wise and common sense travel safety tips. One of the biggest mistakes many people make when they're on a vacation or business trip is that their hotel room is safe and secure when they leave the room. In almost every major city that's a popular tourist destination you see double decker bus tours these days. Here are some tips to make the most of them! There are scores of scam artists out there who prey on your instinct to save money on travel so here are five tips to follow to make your dream vacation does not turn into a travel scam nightmare. I’ll be the first admit that I’m just a little germ phobic when it comes to hotel room cleanliness and do you know what? I have very good reason to be. Hotel bed bugs have been on the increase in the United States in recent years and top bed bug cities include New York, Philadelphia and Detroit. Vacation photos are the best souvenir of any trip, but don't you hate when you have lousy photos for your travels. Here ae 10 tips to help amateur shutterbugs. I figured out a great way to take my best shots, photos that gave some feeling for the overall trip and location. And it doesn't overwhelm anyone with too much information. Most people don't know that when you take youre vacation determines if you're going to get a great travel deal or not. TV travel show producer, Mariane Schwab, shares some insider secrets. Saving money while traveling takes discipline, planning, and doing without a few things. Is it an appropriate exchange for such an adventure? Of course! Everyone wants to save money these days. I couldn’t believe my eyes as I saw this larger than life angelic creation standing before me. Dripping with the Aloha Spirit, he was dressed in a Hawaiian shirt and he was wearing sunglasses. If you've ever wondered how to get the best economy seats on a plane, TV Travel Show Producer has insider secrets and links to airline seat maps. Comprehensive chart on airline luggage fees so you can evaluate the best travel deal on an airfare. With BaggageFeeRefund.com, you can earn credits toward getting money back. There's no membership fee and no limit to how many refunds you recieve. When it comes to carry-on luggage, most people travel with one carry-on bag and some pieces of luggage that they check in. Here are a few tips that you should consider while packing. Being flexible can grab you incredible airfare discounts. Find out how one company offers incredible low cost airfare prices for people who have a little leeway in their schedule. There are several ways of slashing your costs on an air travel. 1) Book an early or a late flight. 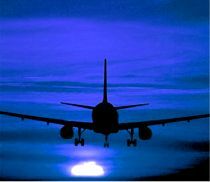 #1-Flights that leave early in the morning or late at night are usually cheaper. Airline Partnerships and affiliations. Find out which airlines have alliances here. Airline club rooms provide a refuge from crowds and amenities to help use the time effectively. Airport Codes - Domestic U.S. List of U.S. Airport Codes. As many times as I have been in and out of Chicago O’Hare Airport, there is one thing I never knew and that’s how it came to be named “O’Hare.” Do you know how this airport got its name? A comprehensive Tourism Offices Worldwide Directory with links to all tourism offices all over the world. Travel Resources Guide is a comprehensive worldwide travel directory for vacation planning with airline web sites & luggage policies, tourism info, TSA guidelines, passports, travel health, more. Resource guide to booking online at hotels, travel sites and more. Before you head abroad, we have the top ten overseas travel tips to ensure you have a great trip. Using cell phones overseas can be expensive unless you do your research BEFORE you go. Find out how to save hundreds even thousands when using a cell phone overseas. Hotel industry consolidation may have created some confusion about which hotel brands belong to which frequent-stay programs, if any. 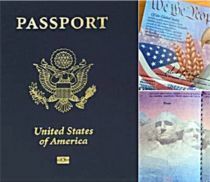 Tips for dealing with a lost or stolen passport including how to have an emergency passport kit and important passport links. The procedures to obtain a minor's under the age of 16 passport is relatively similar to that of an adult except for some minor but very important differences. A complete directory & search engine to connect you to Embassies, Consulates websites & addresses, and how to handle lost or stolen passport s overseas. Not all foreign countries carry the same health risk and so the number and type of vaccinations needed will vary according to your destination. Talking to a doctor about your destination is crucial. A TV Travel Show Producer like Marianne Schwab should have a few vacation packing tips up her sleeve. Well, she does. Find out what they are. Airport Security: How to Go Through it With Less Stress? Before traveling by plane, just accept the fact that you will have to go through the whole craggy process at the airport. Here are a few things you can do to be more prepared. Rental Car Insurance: Should You Buy Rental Car Insurance? Everyone who has ever rented a car has felt the confusion of staring at the rental contract and not knowing whether or not you should buy car rental insurance.. Do you or need it or not. Find out. Traveling with your pet can be challenging, but with some planning ahead, it can also be a fun and rewarding experience. Do you want to bring your pet on vacation? Or do you need to fly with your feline? We have great pet travel products for pet friendly vacations. Inspired words on the World of Travel from prominent and less than prominent people. Here are some of the latest and best travel commercials promoting vacations, airlines and travel deals that I really like. Go ahead and watch them! It’s okay to like them! They’re fun! TV Travel Show Producer, Marianne Schwab, shares her picks for the Top Five Best Travel Songs Ever. Perspective from a producer's criteria for scoring video. If you’re doing some road trip planning you don’t want to forget the best travel songs ever. Music is truly the soundtrack of our lives and every road trip needs a soundtrack. Travel Careers? Get paid to travel? Travel is an $8 Trillion a year industry. Find out how to join the professional travel team led by TV Travel Show Producer, Mariannne Schwab. So you want to become a travel writer? Learn to turn your travels into money and help pay your way as you travel. Tired of work at home scams? Me, too. 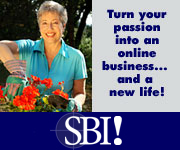 Site Build It is the only system that allows you to build a business with the right plan for long term success. but I would love to hear about your best travel experiences, favorite hotels or restaurants, family travel tips, airline tips, money saving travel secrets, great travel gadgets and more. We're looking for story contributions for our website from writers, travel bloggers, and citizen travelers. Travel writers wanted to share your travel tips, advice and destination information. If you love travel and want to know who to follow on Twitter, TV Travel Show Producer, Marianne Schwab, shares her favorite tweet peeps and pics. Tracy Gallagher was the face of the Travel Channel for years and she agreed to take the 20 Question Travel Pro Challenge! Find out her insider travel.secrets. I like cruises because all of the hassles of an ordinary vacation are completely eliminated. My cruisers on Twitter includes cruise experts and cruise bloggers. I am so excited to introduce you to Anne Dimon. She is the editor and writer for the online Travel To Wellness Magazine that covers travel, spas, fitness & culinary topics. Most people only dream about having the travel portfolio of this travel pro, Susan Farewell. . I just love her last name and how well connects to adventure as if to say, “Farewell, I’m traveling now. Billie Frank and her husband, Steve Collins, own and operate The Santa Fe Traveler, a travel-concierge and trip-planning business for visitors to Santa Fe, New Mexico. This is an "A" list of travel experts, bloggers and writers and you will always get unique travel tips and lots of just plain travel fun out of following these travel guys on Twitter. Cathy Sweeney started her travel blog, Traveling with Sweeney, to share her perspectives on places she’d been, places she wants to go, travel ideas she’s heard about, and travel tips. Klout.com lists Roni Weiss in the Top 50 of Online Travel Influencers and it’s no wonder, Roni is simply brilliant. I love his sense of humor, his zest for life and travel. Matt Long is a true Landloper. Defined as a wanderer and adventurer that is the heart of who Matt is in real life and on the road. Klout.com lists Matt in the Top 10 of Online Travel Influencers. As a TV Producer, Marianne Schwab shares her best travel deals tips she learned as a TV Travel Producer for shows like "Runaway with the Rich & Famous" and more. TV Travel Show Producer, Marianne Schwab, is frequently interviewed by the media and quoted as a travel expert. We really value your feedback and questions and want to help you discover a world of ways to see the world. Contact us here and we'll respond at our earliest opportunity. TV Travel Show Producer has a travel store of great items to make your vacation easier. Here are the best travel guide books! I've chosen the type of books that I like when I'm on vacation, taking a business trip or planning a video shoot. TV Travel Show Producer, Marianne Schwab, delivers the latest blog updates through the RSS feed for Best-Travel-Deals-Tips.com..This pages tells you how to subscribe. Best-Travel-Deals-Tips.com will be implementing a program to begin accepting advertising. Sign up to be notified via email as soon as the Best-Travel-Deals-Tips.com Advertising Program launches. We recognize that your privacy is important. Best-Travel-Deals-Tips.com is dedicated to protecting our customers', consumers' and online visitors' privacy on our website. Can't remember where you saw one of my travel tips or travel deals on this site. Search for it here! Site map for TV Travel Show Producer website with insider travel secrets for taking 5-star vacations at 2-star prices. Puerto Rico's La Coca Falls is located in the El Yunque National Forest. El Yunque is the only tropical rain forest in the United States National Forest System. So much was going on in the world of travel this past week. Here's a round-up of Twitter tweets, travel blogs and travel stories that you'll find helpful with travel tips and travel news. So much was going on in the world of travel the week ending May 25th. Here's a round-up of Twitter tweets, travel blogs and travel stories are filled with travel tips and travel news. Here's a round-up of Twitter tweets, travel blogs and travel stories are filled with travel tips and travel news for the week ending June 2nd. The first full week in June was packed with news in the world of travel. Here's a round-up of Twitter tweets, travel blogs and travel stories filled with travel tips and travel topics. This week Cars Land opened at Disney's California Adventure to huge crowds, the USS Iowa made its historic final voyage and will now be a permanent museum and tourist attraction in San Pedro and more. I have a great collection of travel tips this week from from all my Twitter friends including travel scams to look out for, 50 easy ways to stretch your travel dollars and more. This week we take a look at the most crowded beaches (you may want to avoid), an app that helps you conquer the fear of flying, expenses that take travelers by surprise and more. There’s a great strip known as the Chandler Murals, on the Chandler Bike Path at Vineland Ave in North Hollywood. Whether we are traveling for business purpose or personal pleasure, the joys of traveling and its benefit are too great to ignore. Listed below are five such benefits. Travel web series need you and your crazy travel story. If you've ever dreamed of sharing your funniest, zaniest travel story with millions of people, now is your chance to do it! As a frequent traveler, I have learned a few tips that make traveling easier. In this article, you will find a list of uncomplicated, easy-to-understand traveling tips that will make any trip easier. No matter if you are packing for a long or short trip, whether for business or pleasure, a time-saving way to begin is to make and use a list, so nothing gets left behind.. There are many destinations that people consider off limits because of their supposedly high costs. This article will explains strategies & tips for traveling on a budget regardless of a destination. Here's a round-up of Twitter tweets, travel blogs and travel stories are filled with travel tips and travel news. Did you know that vacation packages are one of the best travel deals? You can get low prices by combining your trip components like flights and hotels. The travel news round-up for Mid-July marks the halfway point of summer. Find out how to avoid the vacation from hell and more. Only one more month left in summer so what's up with that? Family all inclusive vacations beat every single other type of vacation in my book! When I travel with my children I prefer all inclusive vacation resorts. What is the unifying theme behind many of the latest travel & tourism industry trends? They are meant to refresh weary travellers. Don’t you love cool travel products that make your life on the road just a little bit easier? I know I do. Here a just a few of my recent discoveries. If your idea of a perfect holiday doesn't involve cooking or cleaning an all inclusive family vacation resort is the way to go! International travel is both fun and exciting but it can easily become stressful if you forget or lose important documents. This checklist will help ensure that you have everything you need. Does the thought of clearing airport security with excited kids make you shudder with fear? Relax and follow these tips to clear security with ease and enjoy the journey. There is not yet a clear consensus for or against KLM's so-called Meet & Seat service for long-haul fights. Would you like to use Facebook to choose your seatmate? Any complimentary offers are disclosed at the end of my blog posts and our guest bloggers are required to disclose offers in their posts as well. Airline passenger rights have certainly changed since that fateful day on September 11, 2001. The United States Department of Transportation is a great resource. Fall is here, but in case you’re missing the summer weather, ’tis the season for fall fun in the sun and some great off season travel deals. Travel Mom, Emily Kaufman has fall vacation ideas.